It’s official!! You have a live blog! Woot! 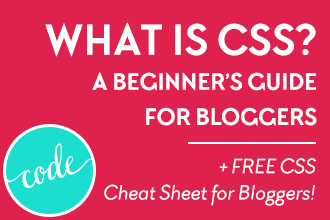 In this part, we’re going to discuss creating your first pages, your first post, categories, and filling out your sidebar and footer. But first I’ll ask you to sign up for my newsletter. 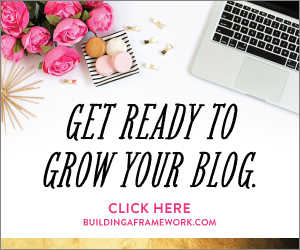 Not only will you be notified of the next part in this series, but you’ll learn more about the way I run my own blog plus get access to my free blog design library. 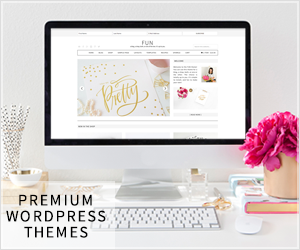 You’re probably wondering, what about my blog theme and the look and feel? Don’t worry, we’ll get to that in part five. If we start getting distracted by the design now, it’ll be more difficult to concentrate on the content. Plus it’s better to design our blogs with content in them. In WordPress, Pages are used for static content, meaning they are the timeless pages on your site, as opposed to Posts which are blog posts that are usually dated and categorized. In your dashboard, go to Pages > Add New. Add a little content in the Text Editor below. On the right of the screen, in the Publish area, click Save Draft. 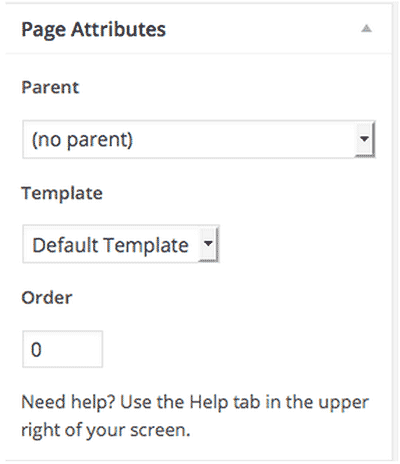 Under Page Attributes you can select a parent page if the page will be nested under another page, but for our first pages, you’ll just leave it as (no parent). You can always change this later. For Template, you can choose Default which usually includes a sidebar or Full screen if you don’t want a sidebar. You can ignore the Order because we’ll be worrying about our menu bar order later. You can Preview the page to check on it before you Publish. When everything looks good, hit Publish. You will probably end up with many more pages than this, but to start, every blog should have at least these four pages listed below. Don’t worry about getting them perfect right away. Just get something up there because you can go back and edit them later. Remember, you’ll be building an audience so not many people will be seeing your blog right away. They want to know what the blog is about and how it can help them. They want to know more about the person behind the blog to see if they relate to you because people naturally like to make connections with others. Oh and whatever you do: DON’T write your about page in the third person. Yuck! Make it personable and totally you! The contact page is a must have. If there’s no way to contact you, people may wonder whether or not you’re legit. If your theme doesn’t come pre-built with a contact form, you can easily add one by enabling Contact Form in JetPack (click on Jetpack at the top of your Dashboard menu). If you don’t wish to have a form that sends you an email each time someone fills it out, the contact page is a good place to give people alternate ways to contact you like your social media accounts. I do both. Here’s my contact page. By the way, if you start to receive emails from your contact form that kind of seem spammy, it’s perfectly ok to delete them without responding. A legitimate inquiry will undoubtedly look legitimate. If you make any income (or plan to) from your blog, whether it be from affiliate links or ads. If you accept products for free in exchange for a review. If you sell any products from your blog. If you intend to collect personal information, such as email addresses (even through comments)! I am not a lawyer nor an expert on this subject so I would recommend reading the following articles as well for more information. A static home page is usually one that contains information such as an intro and links to products or features. A blog home page shows your latest posts usually in reverse order by date. The decision of whether to display a static home page vs. your latest blog posts depends on the goals of your blog. Your primary goal is to sell a product/service or grow your email list. You can use specific, targeted content, an intro, products, calls-to-action (buttons to do something), and/or email list opt-in forms. If you cover lots of different topics, you can give people an overview by showing buttons or links to the different topics. Your primary goal is to share your content. Your topics are all closely related. You can show new visitors exactly the type of content you offer. Can’t decide? 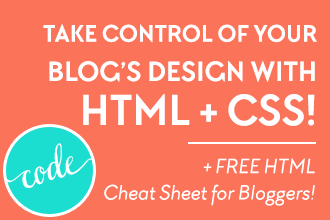 You can totally mix up your homepage with both static content and your latest blog posts. There are themes out there that allow for this. My own home page shows both, but I have chosen to display posts by category as opposed to by date. First you have to create a new page and call it Home. You can add some dummy text in here for now just so you know it’s the home page. Save it. Next create another new page and call it Blog. Leave the content on this page completely blank and then save it. Then in your dashboard, go to Settings > Reading and at the top where it says “Front page displays,” select A Static Page and then below that you’ll point the Front page to Home and Posts page to Blog. Now you can go back to your home page and add whatever content you’d like to it. You may consider removing the sidebar by selecting Full Width under Template in the Page Attributes box shown on the right of the Edit Page screen. If you’ve already got services you offer or products to sell, you may want to create this additional page and fill it with any relevant information. If you decide to have a sidebar in your layout, you’ll want to purposefully select what to put in it as well as carefully design it. We spent last May discussing sidebars in the DYOB Facebook community and here on the DYOB blog. The following posts are the result of those discussions in addition to my own research and experience. 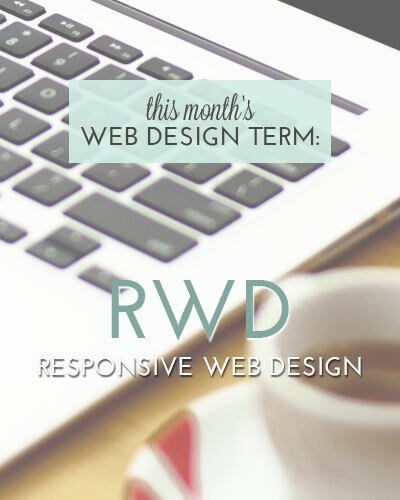 Definitely take some time to read these posts before deciding what to put into your sidebar. 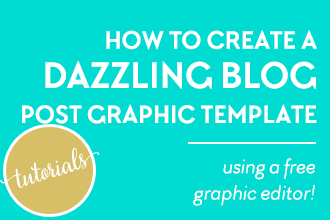 There’s more valuable information on sidebars and everything related to DIY blog design in my eBook, Blog Beautiful: 50 Tips + Fixes to Make Your Blog Glow. The blog footer is an oft-forgotten part of many blogs, which is a shame because it’s such a great spot to put some really useful information that you may not want to clutter your sidebar with. 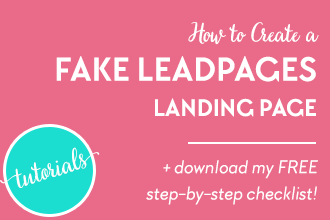 It’s the last point of contact on a page and it’s a great place to put a call-to-action. Prompt readers to perform a specific call-to-action (such as signing up through an opt-in form). Make important information such as contact info, location, hours, etc. easy to find. 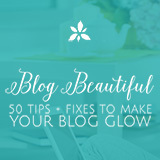 For more suggestions on how to best use your blog’s footer (as well as everything blog-design-related), you should download my eBook, Blog Beautiful: 50 Tips + Fixes to Make Your Blog Glow. I’m sure you’ve heard this one before: CONTENT IS KING. 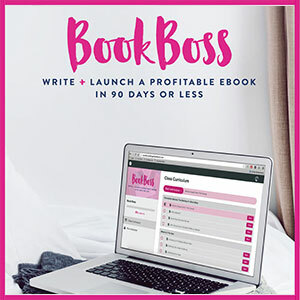 What that means is that you’ve got to have really good content in order to keep people coming back to your blog so you can make your blogging goals come true, whether those are to make money, connections, credibility, whatever. The best way to start out creating some epic content is to create some “keystone” content. 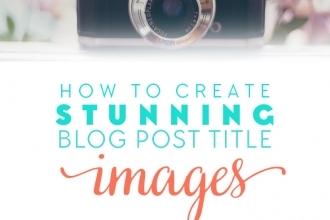 Keystone content is basically an epic post for each category you identify for your blog. It should be evergreen, meaning that it’s not time sensitive and will be just as relevant a year or two from now as it is today. A good number of keystone posts to start with is 4 posts. Let’s identify a few topics to begin writing your key posts. Note: Don’t worry that your blog is new and no one will be reading these at first. Part of blogging is continually sharing old posts as your audience grows. That’s why it’s important to make your keystone content evergreen. 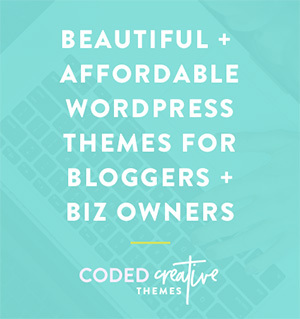 Before we create any posts, let’s create some categories for your blog. I’m assuming you’ve already identified your target market. 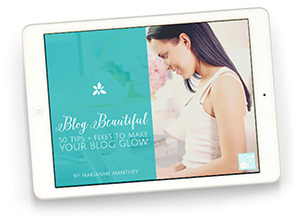 If you haven’t, you should check out the first section of my eBook, Blog Beautiful: 50 Tips + Fixes to Make Your Blog Glow where I have some worksheets for you to figure this out. You can also download this free and quick guide on Defining Your Audience* from the brilliant guys at Fizzle. If you haven’t heard of Fizzle, you might want to check out this amazingly awesome and supportive group of entrepreneurs (some quite successful). I wrote a review about my experience with Fizzle here. According to Regina of byRegina.com, 3-7 categories is best. Any more than that and your content will start to get watered down. 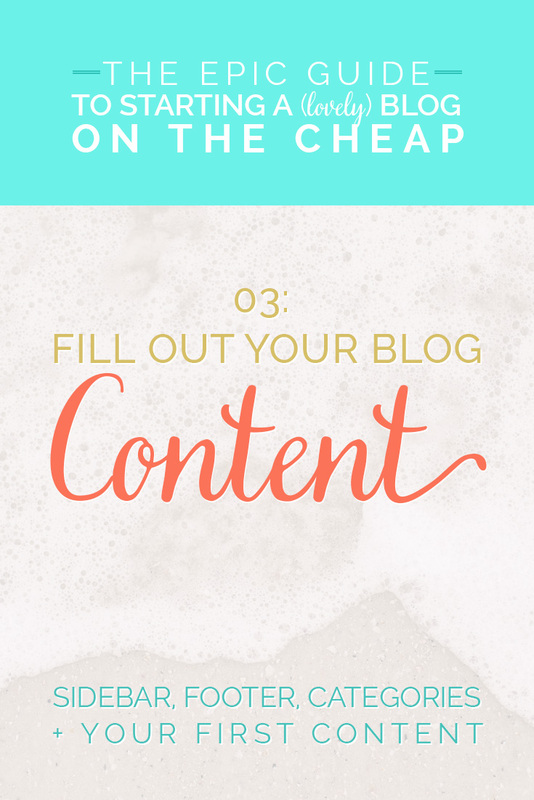 Less categories will help you to keep your blog more focused. 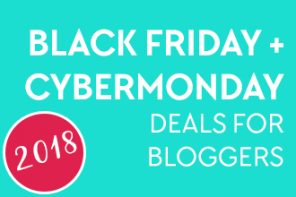 Less categories will help you to keep your blog more focused. Regina has a great exercise from her Stellar Content eBook where you take notecards or post it notes and write down one idea for a post on one card. You do this for about 20 minutes. Afterwards, you lay your cards out on the floor and try to categorize them into categories that you feel would hold your audience’s attention. If you’d like to go through the whole exercise and learn more about creating stellar content, I highly recommend buying her eBook. BLOGKEEPING // CLEAN UP YOUR CATEGORIES by Lisa Butler at Elembee.com. In your Dashboard, go to Posts > Categories. Here is where you’ll enter the categories you just came up with. Create a Name. Try to keep this short and obvious. It’s best not to get too clever with category names because we want people to understand what they are at a glance. Using clever word-play makes it too difficult for people to decipher and it assumes they know the subject well enough to know what you are trying to say. We also want categories to be SEO-friendly so using keywords in your category names is best. Slug. The slug is what will appear in the URL of your category pages. So for example, if you go to www.designyourownblog.com/category/blog-design/typography, all posts related to typography within blog design will appear here. This is great if you want to direct people to posts related to a single topic. The slug should be the same words as your category, but with dashes in between words. Parent. You’ll only use this if you wish to create subcategories. If your theme supports drop down menus, this is how they will usually appear. Let’s keep things simple for now and skip subcategories/parents. Description. WordPress says it’s not usually prominent but I think it’s a good idea to fill this out with helpful text and keywords. It can’t hurt your SEO! In your dashboard, go to Posts > Add New. 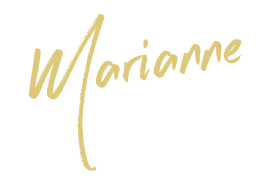 After a few seconds, a Permalink will appear below the Title. This is the potential URL of the post. If you have set up your permalinks to show post titles, then it will take every word from your title and add dashes in between. You should edit this “slug” by removing extraneous words like “to” “and” “the” etc. and make sure it includes keywords and/or the main words from the title. 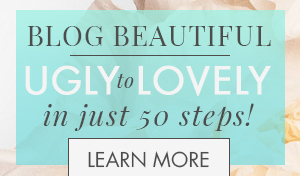 It’s ok if the title and slug do not match. In this area, you can change the post’s visibility once it’s Published, you can also choose a date and time for the post to automatically publish if you write it in advance. In the Categories area, select the category or categories you’d like the post to fall under. I wouldn’t pick more than two. In the Tags area, you may want to add some tags. Tags are basically keywords in the post that people may use to search for your content. Elembee.com has a great post on the difference between categories and tags. Featured Image area. Ok this one’s a big hard to nail down because it just depends on what theme you’re using, but basically the featured image is an image that represents your post. BobWP explains featured images fairly well in this post. 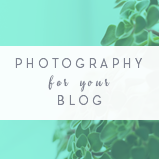 We’ll go more into images for our posts in Part 5, but in the meantime you can check out this post on creating attention-grabbing images. 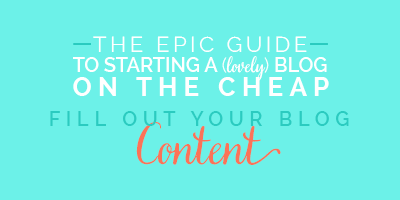 Now that you know how to create a post, let’s write some Epic Sh*t! Pardon my language, it’s a fabulous quote that Corbett Barr of Fizzle* uses to stress the importance of this type of content. Epic stuff is what keeps people coming back over and over. 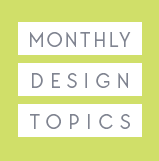 Now that you have your categories, pick one post idea from 3 or 4 of the categories you’ve created. You’ll want to choose the topics that have potential to be “ultimate” or “epic” guides. These will be your Pillar posts. For example, when I started my blog, I knew typography and color would be two of my categories. So I created a 3 part series on Typography for Your Blog and the Ultimate Guide to Choosing Colors for Your Blog. Pillar posts should be extremely useful to readers, well-written and include at least one large, beautiful image if possible. And of course Regina’s Stellar Content Plan Workbook. I don’t get anything for recommending this and it’s so worth the $12! Our last step here is to add menus to our blogs to give people easy access to our content. You’ll want to think about how to break up your content. Again this is something you can change later (I have) but consider how people will be using your site. Everyone organizes their page links and category links differently. The most common approach is to have one menu for Pages and another for Categories. That’s how my old blog was structured. After blogging for a while, it made sense to organize things differently and if you look at my two navigation menus today, there is a mix between the two. In the top menu I put links that I knew people might look for: Home, About, Contact. 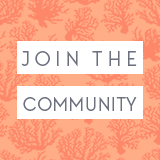 In the lower menu, I link to things I want to show more prominently like Start Here, Shop, Library and Blog. Instead of placing my categories in the top level of the second menu, I moved them all to a drop down sub-menu under Blog. How you decide to organize your links is up to you, you’ll have to assess and balance where you want to lead people to with what you think people will be looking for. Your menu has to balance where you want to lead people to with what they are looking for. I suggest you look at some of your favorite blogs as well as blogs in your niche and see how they organize theirs. Take some time to really think about how you’d like to present your information. Some themes allow you to have two menus. Usually one is placed above the header and the other one below. 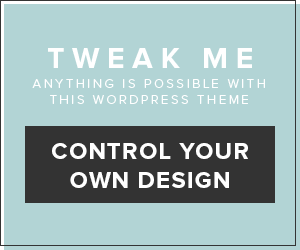 If your theme only allows for one menu, you can create a second menu in the sidebar. 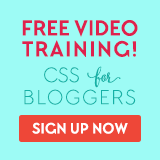 Many blogs put their top level categories in the sidebar as buttons or graphics. 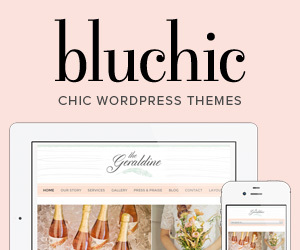 Take a look at some of these sidebar category menus for inspiration. It’s best to keep our menus as condensed as possible as too many top level options can confuse visitors. I’ve seen blogs with 10-15 links wrapping to two or three lines below the header and not only does that look terrible, it’s terribly confusing and offers the user no guidance. No more than one level of drop down items. Drop down menus are very popular in navigation menus, but sometimes they can get carried away. Try to keep yours to only one level of sub-items if possible. I think a video is more appropriate here so I’m sharing one from iThemes that I think explains this pretty well. 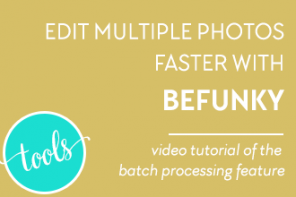 And if you’re not into watching videos, you can follow the step by step below it. Ok so that’s it for Part 3. You’ve got a lot of homework to do but it’s important stuff! And don’t get too hung up on anything, remember you’re just getting started. You’ve got a lot to learn and your blog will evolve with you over time. There is no getting it perfect, EVER! A blog is an ever-changing thing, the most important step is just getting started. So go! 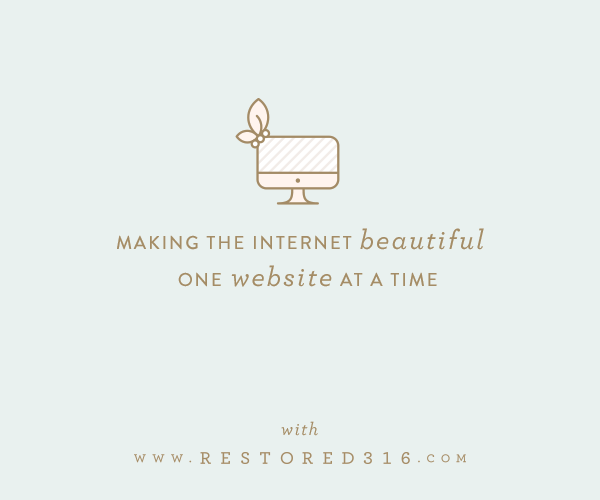 Your blog will evolve with you over time, there is NO getting it perfect, EVER! Parts 4 and 5 are coming soon! Click here to be notified. 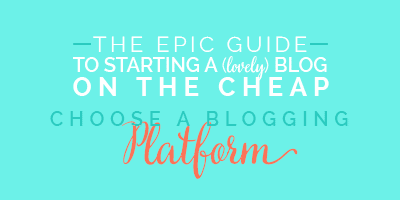 So tell me, what’s the first step you’ll be taking today to get your blog ready for the world? Have any questions? Let’s chat in the comments below! And if you found this helpful, won’t you help me out by sharing this post with your friends? I’ve got some handy sharing buttons below too. So glad that you are finding this helpful as a jumping off point! Starting a blog IS a lot of work so it helps to have some direction just to get started. Please let me know if you think this series is missing anything! 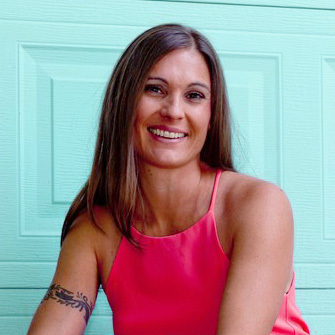 I wish I knew you when I started my blog Marianne! You’re such a tremendous font of useful info!! Oh Doreen you are too sweet, thank you! I hope you can still get something out of this series even though you’ve already started your blog! There’s always room to improve and grow! 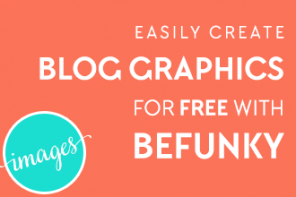 This is really an epic guide on how to create contents for a new wordpress blog. I love how simple and to the point you made the post such that it will be very easy for anyone to understand. Creating pages and posts is where most newbie wordpress users usually get confused and I’m sure they will find this guide very useful. Great information! I just started my blog last week and this guide helped me a lot. I was wondering if part 4 and 5 are available? Hi Abby! Thanks for reading, I’m so glad you found this guide helpful! I’m so sorry that I haven’t finished the series yet. I plan to do this as soon as possible. At the moment, I’m on a hiatus until August for my move abroad after next week but it’s on my short list! Thanks for answering, I look forward to it! 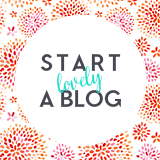 Amazing Post, and extremely helpful as I have just started to create my own blog after months of fantasizing about it. Glad to have so many helpful tips and my fingertips. Thanks for making my life easier. I have one question though. If I plan to create a email subscriber function with hello bar is it enough to just write a privacy statement (one a operate page located on my menu bar) in general that I will not share any personal information or must I be specific and mention about email, if that makes sense. Hi Ria, I am not an expert on privacy statements, so unfortunately I don’t have an answer for that. I would read the links provided in that section for more in depth information that may answer your question.